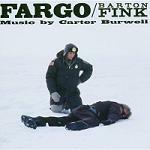 Carter Burwell's association with the films of the Coen brothers has brought him widespread recognition. Their vivid style of story-telling in familiar settings doesn't require a lot of embellishment which makes this composer their ideal partner. His style can best be described as quietly unobtrusive, yet supportive in all the right places. If you're looking for a composer to enhance your film without attempting to dominate the story or any particular scenes, then Burwell is your man. Perhaps because of the type of films he has worked on, his music has largely avoided the fuller orchestral sound, and instead used small and frequently striking combinations of different instruments. One benefit of working with the Coen brothers with their somewhat unconventional approach to film making, is that there are less rules acting as constraints on your creativity. This has allowed Burwell to indulge in a number of different experimental approaches to the story's musical accompaniment. He has used different styles from Jazz to Pop and Classical, he has taken unusual instrument combinations and effects sounds, and he has also experimented with different approaches to thematic material. Those unusual slightly quirky results, have brought Burwell's music to the attention of other film makers and he has been very successful in a number of different movie genres. 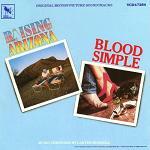 A good example of this quirkiness is the soundtrack to "Raising Arizona" which mixes unusual samples and effects with acoustic instruments. One of his films without Joel and Ethan Coen was the soundtrack for "Rob Roy" which was overshadowed by the box office success of "Braveheart" released shortly afterwards. The music for "Rob Roy" includes much authentic sounding Celtic folk music from Burwell, augmented by some music from the Scottish band "Capercaillie" (whose name is a rare flightless bird found in some parts of the country). The music demonstrates all the qualities described above, the movie suiting the composer's style perfectly, i.e. depicting the deeds of a quietly unconventional yet heroic figure. Much of the film was shot in Ireland and this is where the soundtrack was recorded, with some help from Bill Whelan as Music Consultant. (Whelan composed the stirring dance music for the "Riverdance" show.) However some of the external scenes were shot in Scotland, and a rounded hill known as "The Pap of Glencoe" features prominently in some shots. "Fargo" is an unusual film set amid a snowy backdrop with a subtle black humour. The music is required to keep that balance in check between the commonplace and the unusual. There is a solo violin playing the main thematic idea in a folksy way supported by harp, cor anglais and strings (both plucked and bowed). 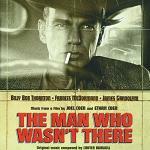 "The Man Who Wasn't There" is a recent soundtrack featuring many excerpts from the piano sonatas of Beethoven including for example the well-known first movement of the Moonlight Sonata. Burwell's original music both complements this and contrasts with it, being largely based on strings and piano. It ranges in mood from the thoughtful and reflective through to troubled, and uses a recurring thematic idea which seems to be loosely based on a short section from one of the Beethoven Sonatas. One track "Nirdlinger's Swing" is in period style scored for a small combo led by saxophones. For "Being John Malkovich", Burwell's music is based around a chord progression which in a number of different guises supports the weird happenings on screen. In keeping with this general weirdness and moments of self-reference or shifts in point-of-view, the soundtrack album has a track called "Carter Explains Scene 71 to the Orchestra" where scene 71 is a rather unusual orgasmic moment. Interesting scores which Burwell has created in recent years include the black comedy "In Bruges", and two Western remakes for the Coen Brothers "The Alamo" and True Grit, both of which make use of pre-existing material to a greater or lesser extent. While "The Alamo" makes use of the Mexican Bugle Call known as Deguello, the main theme of "True Grit" is based on the hymn Leaning on the Everlasting Arms. The television series "Mildred Pierce" has garnered a lot of attention for its mix of period music (including jazz arrangements of classical works) and darker underscore by Burwell. It's certainly great to hear woodwind again, when so many composers seem to avoid these evocative and versatile instruments. After a gap of two films, Burwell returned to the Twilight Saga for "Part 1" and very soon "Part 2" of Breaking Dawn. With Burwell the featured composer for Film Fest Gent in 2018, an album has been released called "Carter Burwell: Music for Film" with Dirk Brosse conducting the Brussels Philharmonic orchestra. Rob Roy - including Celtic sounds and folk music from the band "Capercaillie"
Gods and Monsters - reflective music matching the mood of triggered memories, there is a brief use of Franz Waxman's music from "Bride of Frankenstein" and Burwell's violin theme becomes that of the blind man in "Frankenstein"
The Man who Wasn't There - amid Burwell's original music there are excerpts from several of Beethoven's piano sonatas including the Moonlight.